In 1937, my grandparents joined a carnival for a season. He sold candy, she ran the milk-bottle game. In his spare time, he took photographs. And they learned the secret speech of the carnival folk, which they later taught to me. After speaking Carny for many years, I decided to seek its origins. I fell head-first into the world of the Depression-era travelling carnival, brought to life by my grandfather’s photos. In the process, I discovered a linguistic legacy spanning over a century, and turning up in the most unexpected places. There is a special magic here. Step behind the scenes and find out what the rubes don’t know. 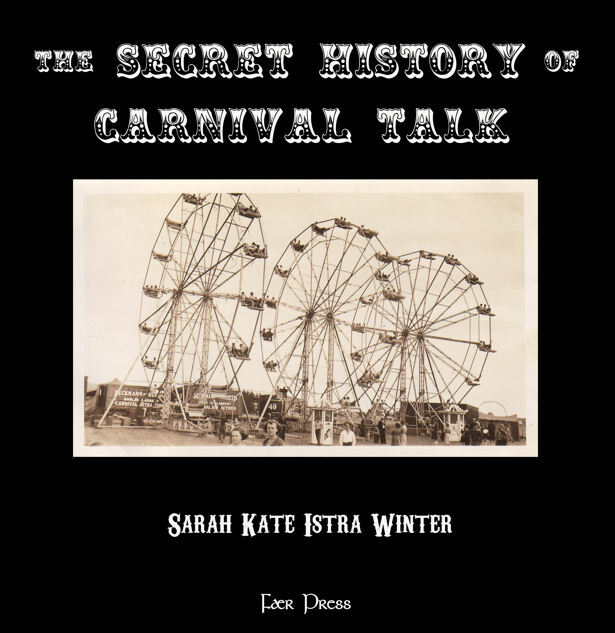 The Secret History of Carnival Talk by Sarah Kate Istra Winter. 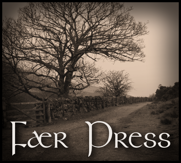 Fær Press, April 2014. 8.5 x 8.5″ paperback, 50 pages, featuring thirty never-before-seen photographs printed in original sepia tones. Available on Amazon.com, directly from the author (with postcards), or from your local independent or major bookstore.